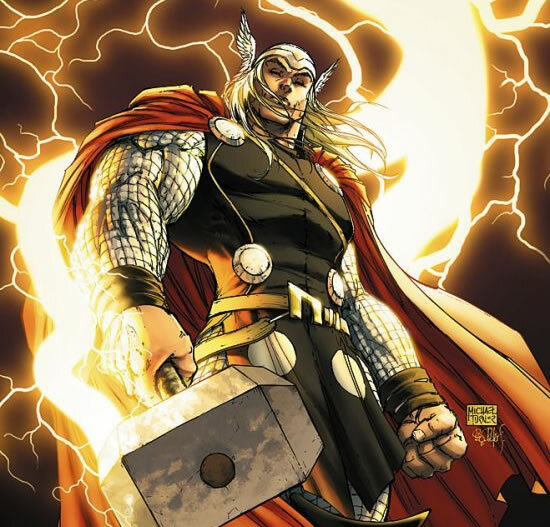 Thor, god of Thunder, was walking the streets of Asgard with Odin, when Thor suddenly says, "It has been a long time, father, and the urges within me rage and threaten to burst out." Odin ponders for awhile the horror of letting the god of thunder become unhinged, and all the damage that could come from it, and he replies, "Go to Earth, O Thor, and find thyself what they call a 'lady of joy' and treat her to your manly pleasures." And this Thor did. 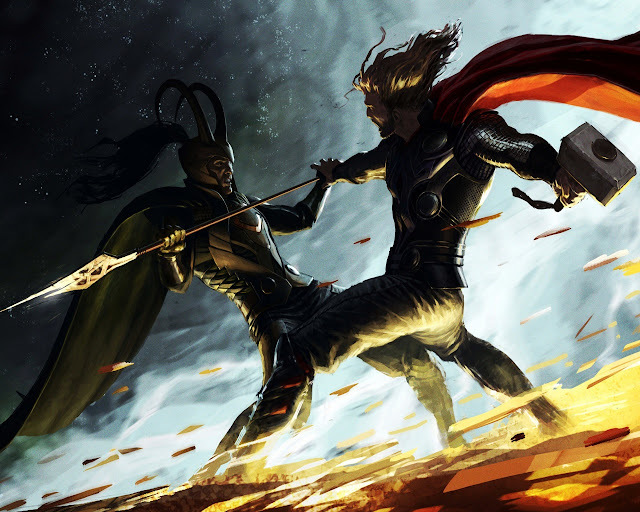 The next day, he came back up to see Odin, and told him of the previous night's events. "My father," he said, grinning from ear to ear, "It was wonderful. The passion was released from within me 37 times!" "37 times!" exclaimed Odin. "That poor woman! Mere mortals cannot endure such treatment. You must go and apologize this instant!" So Thor went back down to earth and found the aforementioned prostitute, saying. 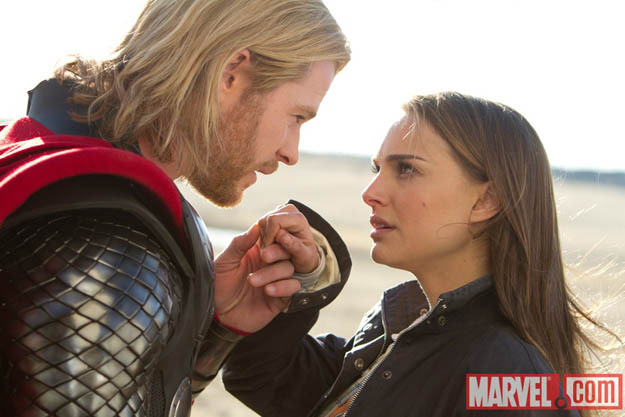 "I'm sorry about last night, but you see, I'm Thor..."
"You're Thor?" shouted the girl. "You're Thor? What about me? 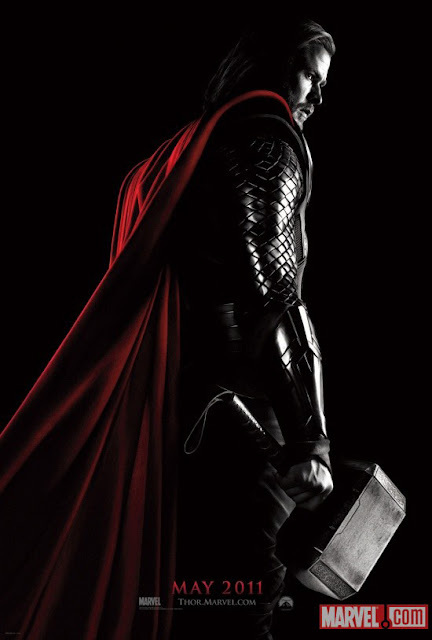 I'm tho thor I can't thpeak and can hardly pith!" That’s how I feel right now. I saw the Midnight Premiere of THOR, but before that was dinner with friends, then not enough room in the car for everyone, so someone had to hang out at a sports bar waiting, and anyway, the point is I ended up sitting for about six and a half straight hours. Hyperion was not made for this. But the end result is that I find myself today feeling physically haggard, creatively bereft, and not capable of my usual 5000 word make-you-feel-like-you’re-there brilliance. I’ll just give you a couple of highlights. What do you want from me? I said I was hurty. 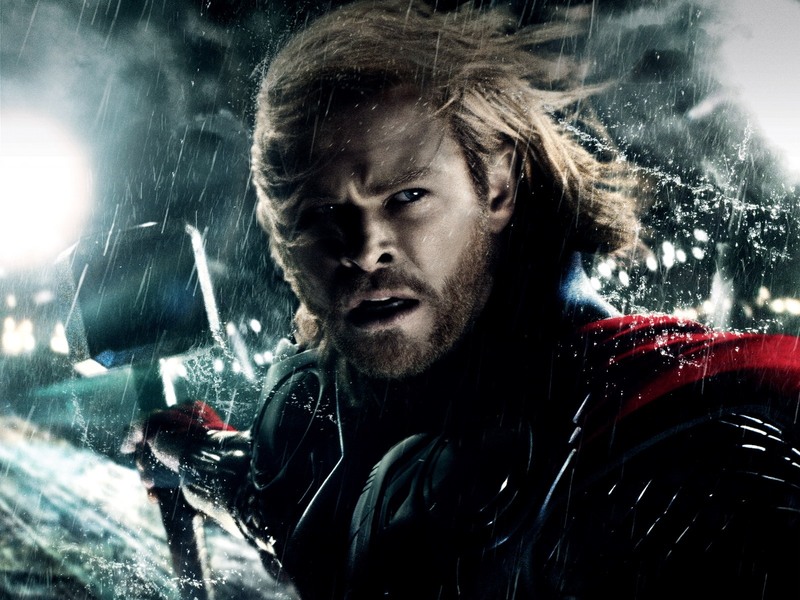 Thor is everything you’d want in an old-school super-hero movie. It’s cheesy, but in the best way. I mean, c’mon - the story is about the god of thunder who somehow makes his way to earth and has adventures with humans. This isn’t exactly the gritty realism of The Wire, but it’s not supposed to be. Asgard is way cool - very futuristic and yet ancient at the same time, ten times cooler than the rendering of Mt. Olympus in that dreck CLASH OF THE TITANS. 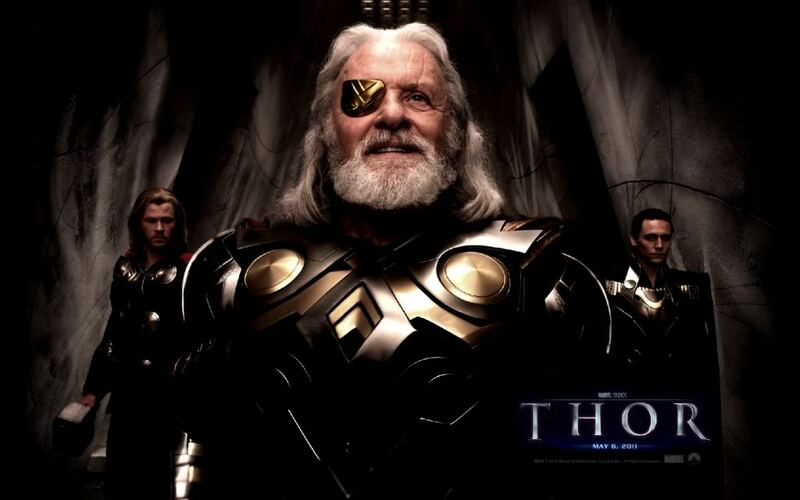 Odin is played by Anthony Hopkins - always a great thing. His wife Frigga is Rene Russo, and even though she doesn’t have much to do here, remember that Marvel very carefully sets up their super-hero films as franchises, so there’s every hope she’ll have more to do later. On the human character side, Natalie Portman is an astro-physicist who discovers wormholes, and she’s every bit as unbelievable as any woman (or man for that matter) the movies have tried to make us believe are staggering super-geinuses of theoretical science (anyone remember Denise Richards as Nuclear Physicist Dr. Christmas Jones? ), but it’s okay that her character is ridiculous because it’s Natalie Portman, and she’s really only there so we’ll find her adorable, especially when she gets all tongue-tied after meeting Thor. Other humans are Stellan Skarsgaard, who’s mostly there for his awesome accent, which makes him believable when he talks about Norse mythology stories he heard as a child, and Kat Dennings as the wise-cracking intern sidekick. In an Indie THOR Kat would have had the Natalie Portman love-interest role, which makes me wonder what an Indie THOR would actually look like. Then again, Indie street-cred would demand forgoing special effects, and one place you don’t want to skimp on special effects is HAMMER TIME in a Thor movie, so maybe it’s for the best. SUNDAY - from Sunnandæg or literally “Sun’s Day.” Makes sense the first day of the week would be to honor the biggest thing we could find in the sky. TUESDAY - from Tiwesdæg or “Tiw’s Day.” Tiw translates to the German version of Mars, god of war. Again this makes total sense, Astronomically speaking. 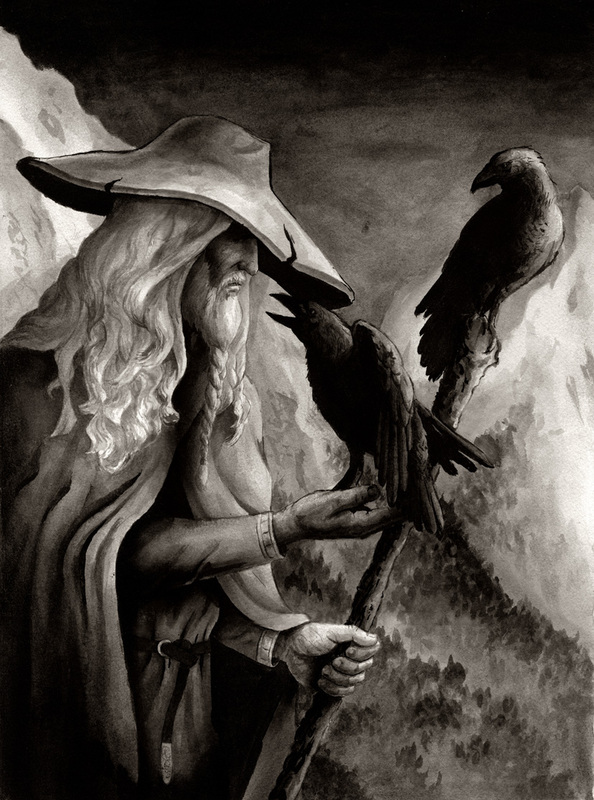 WEDNESDAY - from Wōdnesdæg or “Wodan’s Day” (Odin’s Day). You might wonder why Odin, the all-father main god of the Aesir, gets the middle of the week, but perhaps it will make more sense to know that Roman’s associated him with Mercury. FRIDAY - from Frīġedæġ or “Frige’s Day.” If you’ve been following along I bet you can guess what Roman goddess the Norse Frige was associated with......yep - Venus. SATURDAY - from Sæternesdæg or Saturn’s Day. Where were we? Oh yeah - what about Thor himself? The film does a fantastically great job here, capturing the essence of the comic book character as best they can crossed with aspects of the generally known traits of the mythological figure. It’s tough sledding - because Thor was known as arrogant, brash, impulsive, hot-headed, violent....not exactly a role model for the Kids today. Overall I thought THOR was pretty terrific. It didn’t have the sophisticated gravitas of the recent Batman movies or as many spectacular action sequences as we’re used to, but the film had plenty of heart was abounded with great moments of humor. It was directed by Kenneth Branagh, which might seem an odd choice for the subject matter, but I’m sure he helped keep the grand vision of Asgard alive. 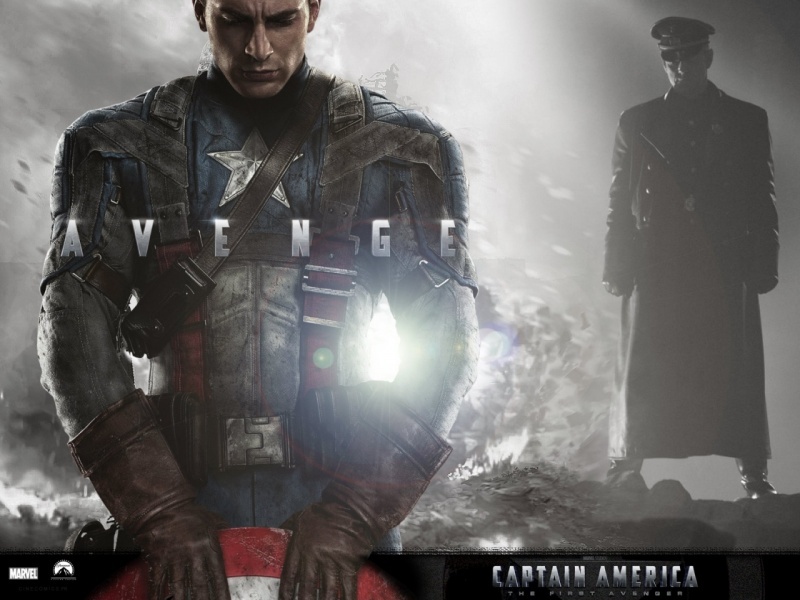 Perhaps best yet, they continued to build on the Avenger’s theme, and when they finally get all the characters together it should be great. No one is going to walk from THOR saying it was their favorite movie ever, but I feel confident that no one is going to be disappointed, either. I suppose I could have maybe wished for more actual Thunder and Lightning, but then, what would I have to look forward to in the sequel?